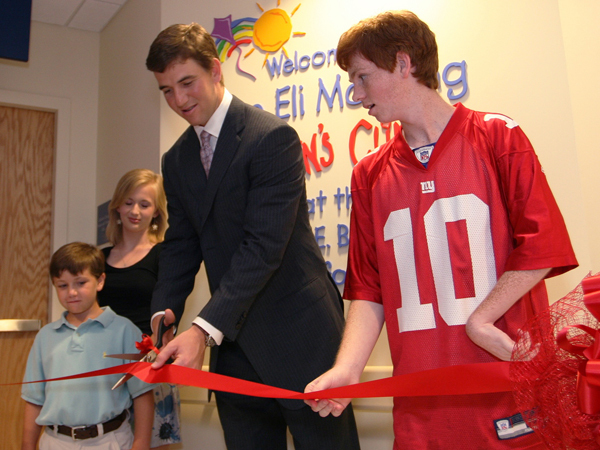 In 2009, Eli cuts the ribbon for the Eli Manning Children's Clinics with help from Batson Children's Hospital patients, from left, Cameron Smyly, Aubree Jordan and Taylor Gibson. 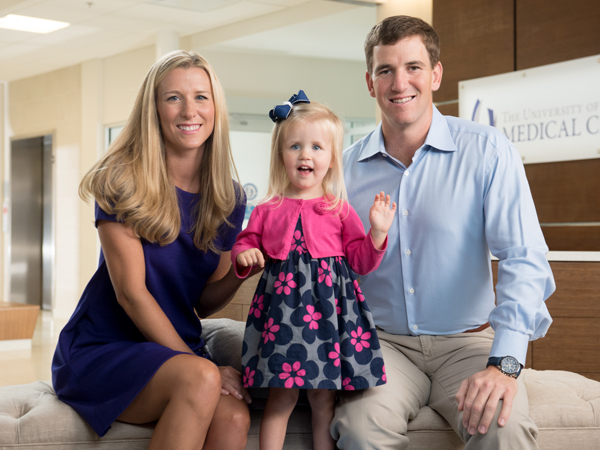 Eli was named one of the “Top 20 Philanthropists under 40” by The New York Observer and was a finalist for this year's Walter Payton NFL Man of the Year award. His devotion to Batson Children's Hospital and philanthropic efforts can also be seen in the article he wrote for The Players' Tribune, titled “The Autograph,” which tells of his visit with a young man fighting cancer at Batson Children's Hospital. Joe Sanderson, the CEO and board chairman of Sanderson Farms who, with wife Kathy, serves as chair of the capital campaign, welcomes the Mannings to the campaign. The Sandersons started off the capital campaign by making a personal gift of $10 million, announced in an April 25 news conference at Batson Children's Hospital. With the theme of “Growing. So they can grow,” the campaign aims to fund an expansion and update of the neonatal intensive care unit, add more pediatric ICU rooms and surgical suites, create an imaging department just for children and expand the outpatient clinic so that care can be centralized and more convenient for families. Abby and Eli pose with Batson heart patient Abigail Morgan. “We joined this team because we want the very best for the children in Mississippi. This campaign to build a world-class facility will help shape the future of our state. Supporting it means giving Mississippi's doctors the tools they need to fight the good fight. You'll be telling Mississippi's parents that their children matter. You'll be giving Mississippi's sickest children new hope. 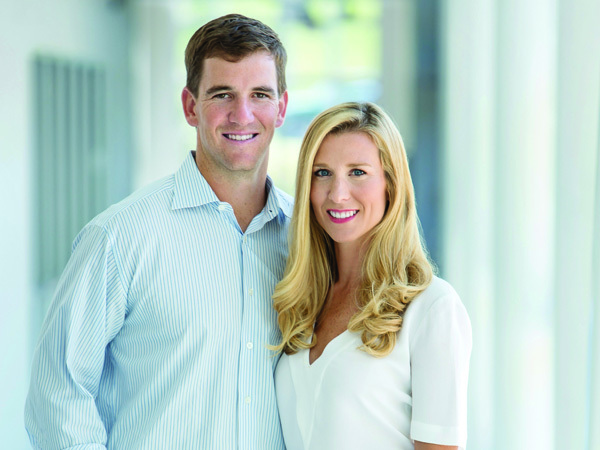 And take it from me, there's no better feeling than knowing you played a part in giving a child a chance to grow up,” said Eli.